Virtualization applications create a virtual environment for you to run your applications in. This means you’ve got a playground on top of your usual playground, which can be fitted to your needs and is pretty safe to mess with. It’s often used by businesses and developers. Even a regular PC user can find a need for virtualization software. Most specifically, when certain software won’t run. The biggest problem is that these virtualization suites usually install an entire operation system. This makes it heavy on system resources and often rather unpractical for most users. But there is another type of virtualization software, which handles matters wholly differently. Spoon is a website that runs a certain type of virtualization software. It uses that virtual environment to stream desktop applications to your PC. That’s right; using Spoon, you can run regular desktop applications from your browser, without even having to install them. Calling Spoon revolutionary wouldn’t do it justice. It’s a whole new way of experiencing software. Rather than emulating hardware, and thus requiring an entire operating system to create a virtualization environment, Spoon only emulates those software components the applications need to function. In essence, it uses elements that are already present in the ‘real’ operating system and uses it to remotely stream applications into existence. Spoon currently only works on Windows. We’ll certainly be keeping our fingers crossed for future Mac or Linux adaptations. To get started with using Spoon, you only have to install one light-weight browser plug-in. 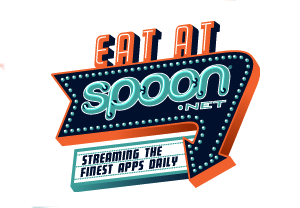 Point your web browser to the website; Spoon.net. You’ll see a yellow ribbon on the top with an install button. Click it to download the installation file. With the plug-in installed, select sign in at the top right of the website and create a new account. You’ll also encounter this step if your try to run your first application. Signing up is as easy as entering your email and creating a password for your Spoon account; email confirmation isn’t even required. With the plug-in installed and your Spoon account created, you’re all set to go. The Apps button will take you to the Spoon App Library. Here you’ll find all the available applications. You’ll notice that a lot of popular and free software is readily available, including other browsers, Microsoft Office document viewers and other practical applications. I was surprised to find video conversion and media player tools in the Spoon App Library as well. Selecting one of the applications gives you an extended description, also including the application version, size and buffer size. Comparing these last two gives you the ratio of what you’ll have to download. Often, the actual applications are several times larger than the Spoon buffer sizes. In short, it takes many times longer to even download an installation file than it takes to stream the application from your browser! If your operation system is compatible, you’ll be able to press the Launch button here. A floating pop-up will appear in the down right corner, showing you the buffer status. Once, the application has been buffered, it can run. I expected an awkward browser pop-up version of these applications to appear; I was greatly mistaken. Often, you won’t even notice the difference between the real application and the virtualization. Feeling a little creative, I tried to run a real install and browser virtualization side by side (CDBurnerXP). The results were amazing. There was no visual distortion and they performed on par. Besides, it took me a lot longer to actually install the application. Spoon can also stream and virtualize games from your browser. After all, games are simply another kind of application. Side by side with the Spoon App Library, Spoon offers their Game Center. By and large, it is filled with simple, lightweight games, but you’ll find some real gems in this library as well, including a Half Life Uplink and demos of Halo and World of Goo. These browser virtualizations are not just a fancy show of technology, they might actually be able to replace some desktop software bundles; at least for me. 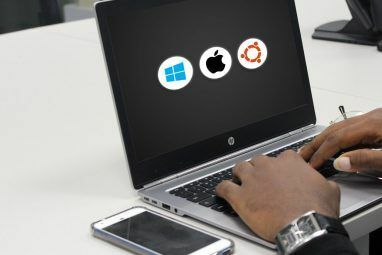 What do you think of the idea of streaming applications to your desktop? Share your thoughts in the comments section below! I love Spoon! I use it all the time at my workplace to IM my coworkers because Communicator is down all the time. Let's say a regular windows application is like a DVD. You loose a lot of time going to the store (read: downloading the application), walking through the DVD menu (read: installing), not to mention the storage you loose. 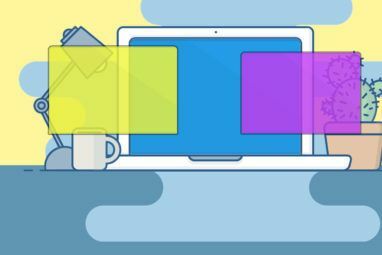 If Spoon applications were films, they wouldn't be like DVDs, but rather like on-demand television â€” you're effectively streaming the applications to your PC. 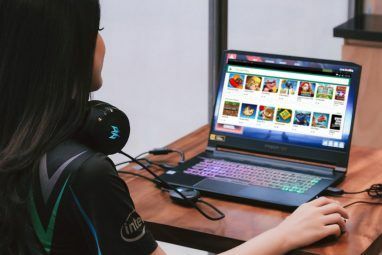 - It takes less time; the streaming buffer is smaller than the install file, so takes less time to download and there's no installation required. - Only temporary files are used, so you don't loose any disk storage. Of course, this is only a practical analysis. If you're into the techie stuff, virtualizing applications from your browser instead of virtualizing the hardware and emulating an entire operating system is a Really Big Dealâ„¢. It could really change how we look at software. If we fast-forward to the future, this technology could enable us to (globally) separate the application interface from the data and computing; much like what's been done with web 2.0 applications, but much better and more powerful. The ability to run Windows apps but only on Windows? Am I missing something here? Not just running Windows apps on Windows... :-)Let's say a regular windows application is like a DVD. You loose a lot of time going to the store (read: downloading the application), walking through the DVD menu (read: installing), not to mention the storage you loose.If Spoon applications were films, they wouldn't be like DVDs, but rather like on-demand television — you're effectively streaming the applications to your PC. - It takes less time; the streaming buffer is smaller than the install file, so takes less time to download and there's no installation required.- Only temporary files are used, so you don't loose any disk storage.Of course, this is only a practical analysis. If you're into the techie stuff, virtualizing applications from your browser instead of virtualizing the hardware and emulating an entire operating system is a Really Big Deal™. It could really change how we look at software. If we fast-forward to the future, this technology could enable us to (globally) separate the application interface from the data and computing; much like what's been done with web 2.0 applications, but much better and more powerful. Being in the industry for 15+ years, this blows me away, and from an IT infrastructure standpoint, could reduce back-end cost for deployment and ease rollouts.